How Far is Town & City Garden City? Owning a home is a matter of great pride and with our range of budget residential properties, buying your dream home is just a step closer. Garden City homes are crafted and designed aesthetically with quality as topnotch priority. We have successfully addressed the needs of our diverse customers with a township that has all the features & amenities required for a complete lifestyle. Garden City is located at Vedapatti Town Panchayat in a pollution-free environment. To lead a life in peace and harmony, the township is built in a tranquil environment away from the hustle and bustle of the city. A place where life’s better shades embrace; where the air is fresh and pure with sense of lush green lawns. Also Garden City is well connected to the city’s major commercial and residential areas. 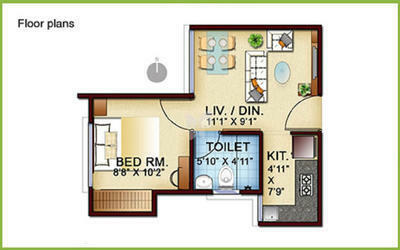 A home surrounded by all services that cater to your daily & essential needs. Safety being an essential criterion, Garden City as a Gated Community comprises of safety provisions like common area surveillance cameras, compound wall, round the clock security guard services and many other facilities. Town & City Developers is a construction firm commenced with the vision of changing the lifestyle of millions with its affordable homes. The firm is a novel venture of the KG group, well known for its tradition of trust since 1932. KG Group has an extensive network of well-established companies. The Group forayed into multitude of verticals launching companies, products & services for the past eight decades with global excellence. Every new idea of the group has given birth to another innovation followed by magnificent success. First of its kind in Coimbatore, Town & City Developers offers budget homes for the low & middle income class of people, that stand out in quality and comfort.